You must make reservations at least 5 minutes in advance of the time at Barrio - Lowertown. Barrio boasts the best chef-driven Latin food and the largest Tequila list that the Twin Cities has to offer. Using locally sourced ingredients, our chefs make every last dish on the menu a memorable one. 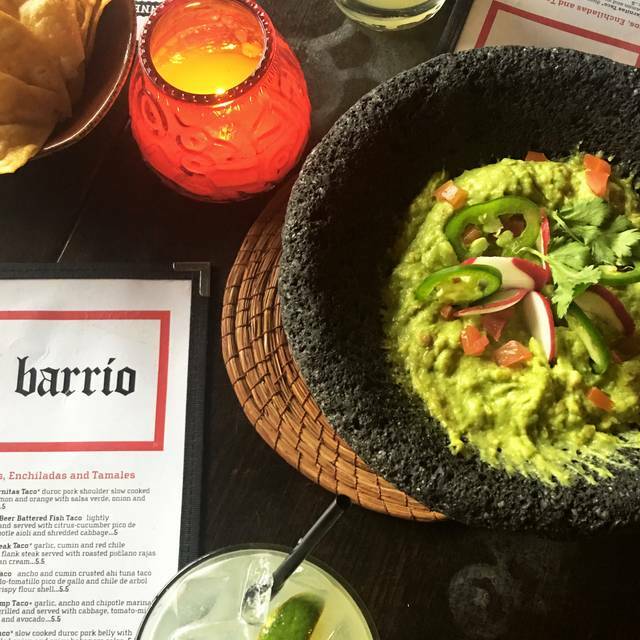 Whether you want a Maragrita, a taco, or some freshly made Guacamole, Barrio has all your bases covered. After dinner, hit the dance floor and take in an eclectic mix of Latin, reggaeton, and all of today's greatest music spun by our in house DJ's. Nice tapas selection. Good wine. Great servers. Parking is a little funky. They have a nice patio across from Mears park. I prefer the Edina location's set up and atmosphere but I am thrilled to now know that St. Paul is an option. The service was actually perfect for our needs (party of 3) and our waiter, Cardell, was attentive without being overbearing. Good drinks, great food...the only downside was the restaurant seemed so narrow and cramped that it was difficult to move around without brushing into others. Overall, Barrio in Lowertown will be my local go-to for this Latin influenced cuisine! Our waitress was very nice and I believe she was trying to be as attentive as she could. I think that there was just not enough help!! The people that brought the food to the table were clueless. They jsut put the food down without any thought as to where or what was on the table. We asked three separate times for extra plates before we finally received them b/c our waitress was on top of it!! It was a really loud atmosphere and seemed almost chaotic-Maybe it's for the younger crowd but I do like to party and have fun but it wasn't a great experience except the food was very good. Unfortunately I won't be back and I won't be recommending this place to friends. The food was amazing as always. The service was unbelievably good! 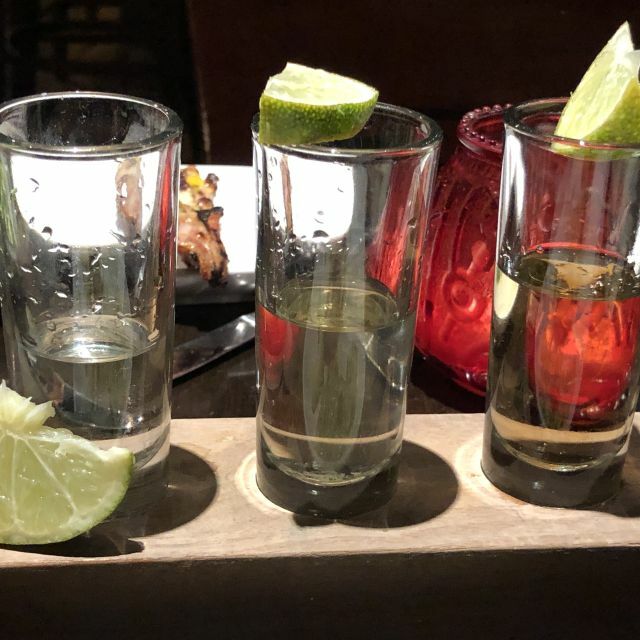 We were walked through the tequila menu in great detail and given direction on our tasting experience. Wonderful time! Will definitely be going back again and again. It was a busy day as our reservation was after the St. Patrick's Day parade but they accommodated us and gave us a booth far from the noise. Our server was very nice and attentive and provided suggestions when we asked. The food was great except for one - the yuca is very oily and the dip taste just like olive oil mayo. On the other hand, the guacamole, tacos, shrimp are perfect. Great service and food. The taco buffet is great and we ordered several small plates. The guacamole was great and the cheese dip was good. Service was great. Engaging server and great balance between checking on us and letting us enjoying the great food! We had an incredible experience because of our excellent wait staff and delicious tapas choices. We enjoyed a continual feast, all timed perfectly. And the ambiance was superb. By far the worst service I’ve experienced in St. Paul. For 5pm and a less than half full restaurant, one would expect someone to stop by at least once every 30 mins. Our server simply didn’t care and her colleagues knew it so they jumped in to help. Won’t be back regardless. I love introducing people to great places and Barrio did not disappoint, as usual!! My husband and I chose Barrio for a late Valentine's Day celebration. The food was fresh and delicious. And because of the small tapas sized portions you get to try a lot! The server was very knowledgable and made some great recommendations. Fun night out! After a keenly anticipated evening, we should have listened to the Open Table reviewers who referenced poor service. We arrived for our 5:45 reservation and, twenty minutes later, we had not been greeted, served chips, inquired about drinks or told about dinner. It was a steady level of busy and the tables around us were getting sequential parts (drinks, salads, soups, tacos) of their meals while we looked on. We were invisible to a wait staff that passed our table no less than 30 times (yes; I started counting). We had theatre tickets and there was no way, with that lack of service, that we were going to make our show. It was such a frustrating experience that we left, we will not return, and we will not recommend Barrio to anyone we know. Really, super frustrating. The food was outstanding. Service was poor. 3 of the 4 in the party ordered the taco buffet and it took 20 minutes and taking to the manger to get our soft drinks. Server never checked on us. Expected a Spanish-named restaurant might have authentic entrees. It seems Mexican restaurants, except the wonderful small cafes, are trying to outdo each other with the most inventive meals that resemble very little of the original food I look for. The food was overall delicious. My only complaint is the cilantro rice. It just tasted like butter rice. Everything else was terrific. Especially the steak. Barrio is one of our favorite restaraunts in St. Paul, although the food wasn’t as great as it usually is. Hopefully it was just an off night for them. We love this place! Great food and drinks with a trendy atmosphere. If you have a party of 4, we recommend making a reservation in The Vault. It is a cool private room to enjoy. Personally for me my dining experience was exceptional because of our waiter! He was very personable and knowledgeable of the food and the tequila. Will definitely go back! Went here with a group of 6 after completed an Escape Room. The food came quickly even though the place was packed, the drinks were good, and the service was awesome. Everything we ordered tasted great including the guacamole, pork tacos, and chicken enchiladas. 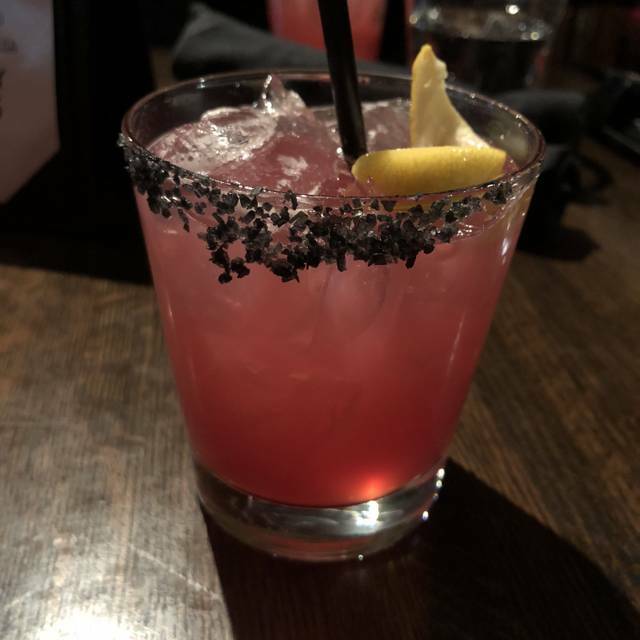 Also loved the black diamond margarita with pomegranate juice and black salt rim. Only negatives were the chips were too salty and the margaritas are $11 and come in a lowball Glass chocked full of ice - not a good presentation or value although tasty. Server was friendly, food and drinks pretty good —but very very very slow bar and restaurant service - also poor communication about food preparation to accommodate a celiac. Lastly parking was very hard to find, would recommend uber or light rail. As always the food was fantastic and service was fast and super friendly. Excellent service. While it was not busy on a Sunday night, the service was very good. Our waitress was very knowledgeable and provided good recommendations. Food was good as it always is here. I also like the ambiance. I met there for someone's birthday party. I reserved a table for eight and the table was right in the middle of the restaurant next to a window and it was cold sitting next to a window. I would have like our reserved table to be more out of the way, secluded with more privacy for conversation. Sitting at a table in the middle of the room made it difficult to have conversations because it was so loud. The table felt out in the open. Food was average. Drinks were small and pretty expensive. I would go to the Barrio for special occasions not as a regular. Putting the “small” in small plates. I understand tapas and small plates, but these weren’t legitimate small plate portions for the price. Purchased guacamole and salsa, and also charged for extra chips. Server forgot to bring one order or drinks. Dined with someone who has food allergies and they didn’t get her the correct order. Extremely loud. Probably a great happy hour place but would avoid for dinner, date, or anytime that you want prompt service and also be able to hear your table companions. The food was very good with a nice atmosphere. I like that there is a selection of small plates for a reasonable price so I can try a number of different things. The awesome standout part was the service though, they were fast, helpful and friendly. One of the best Mexican restaurants I have been to. I'll make sure to be back again and bring others with me. Great! Margarita was wonderful and all the food was great! Chips were good. My chicken was really seasoned. The entrance area was not real clean? Great food and drinks, but our server took forever. They gave her a LOT of tables, so I could tell she was rushed, but it would be nice to have better service on a Saturday night! The snapper cveiche was amazing. Best Mexican restaurant in town in my opinion. The food is always fresh, the drinks are made from scratch and not from a pre-mix. So good! We love the food and they have the best margaritas!! Service a little slow but if you aren’t in a hurry it is a fun restaurant with great food! waited 40 minutes for a drink before the Justin Timberlake concert. We ere warned that they were understaffed but I felt like this was beyond that... poorly staffed as well. 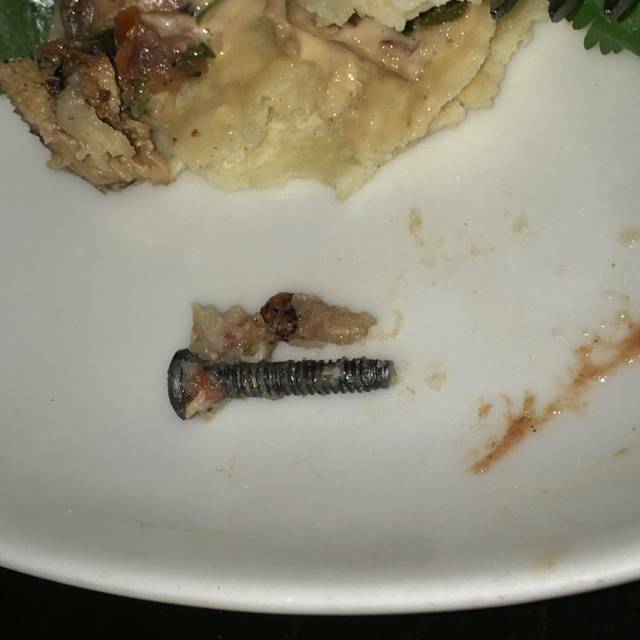 My friend bit into his taco and found a screw!! We were all pretty horrified and the staff was apologetic but I don’t plan on eating there again.